You finally did it. You dropped everything, you worked hard for years, you planned everything out, and now you are opening your very own small business. This is an exciting time, but it is crucial that you continue to work hard and take it seriously. Even with all the enthusiasm and best intentions in the world, so many businesses fail every year because of simple mistakes. Skipping market research — A lot of business owners jump right into running their companies without doing enough or any research on the market. This is key for any business, but even more so for small businesses, because the capital just isn’t there. From the moment you decide you want to start a business, you should start researching and keeping tabs on the market — and don’t stop there. Whether it’s your first or 30th year as a business owner, you always need to be paying attention to the market and your competitors. Not having sufficient funding – Starting a business puts a strain on your finances and you need to cover more than the initial startup costs. During the first few months of your business, you’ll likely have plenty of outstanding invoices. 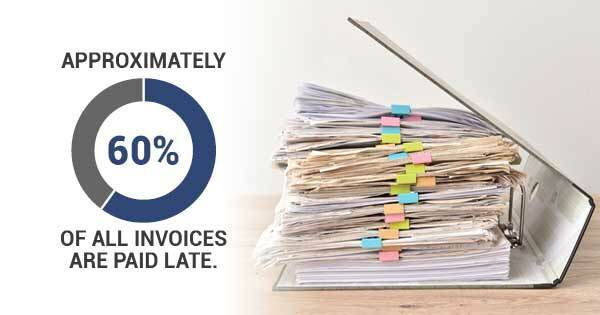 Nearly 60% of invoices are paid late, and some might not get paid for 90 days, which can cause all sorts of financial problems for your business since you will likely need that cash for every other aspect of your business. With business receivable factoring, you’ll be able to receive cash immediately as you await the invoice payments so you can stay on top of your cash flow needs. There are experienced accounts receivable financing companies out there that can help you with business factoring and keep your small organization afloat. You made it this far. Starting your very own small business from scratch is a big achievement — don’t let it fail by making any of these common mistakes. If you’re in need of cash for your company and think business receivable factoring sounds like a good fit for you, and want to find invoice factoring solutions, give Eagle Business Credit a call today.